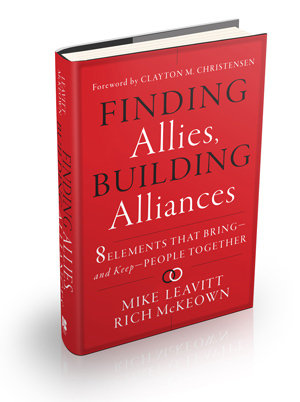 Today—September 16, 2013—is the “public” launch date for Finding Allies, Building Alliances. This means that the book is now immediately available at local bookstores and online at Amazon, Barnes & Noble, Books-A-Million, Indie Bound, and Wiley. Links to these online retailers are located on the lower right-hand side of the FindingAllies.com home page. Saturday, Sept. 28—Governor Leavitt and Rich McKeown headline the Utah Book Festival at the downtown Salt Lake City Library when they discuss the book with local journalist Jennifer Napier-Pearce. The event is free to the public and starts at 7:30 pm in the library’s main auditorium. 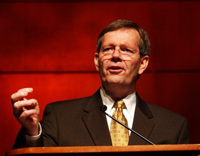 Monday, Sept. 30—Governor Leavitt will give the keynote address during the 18th Annual Common Good Awards luncheon sponsored by Envision Utah. Tickets are $70 per person or $600 for a table of ten. For reservations or additional information, contact Kristine Widner at (801) 303-1454 or kwidner@envisionutah.org. 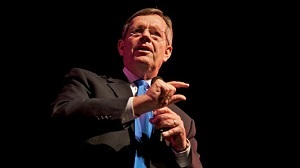 LP Health Speakers is the exclusive speakers bureau for authors Mike Leavitt and Rich McKeown. Contact us to inquire about speaking and book signing opportunities for your organization.